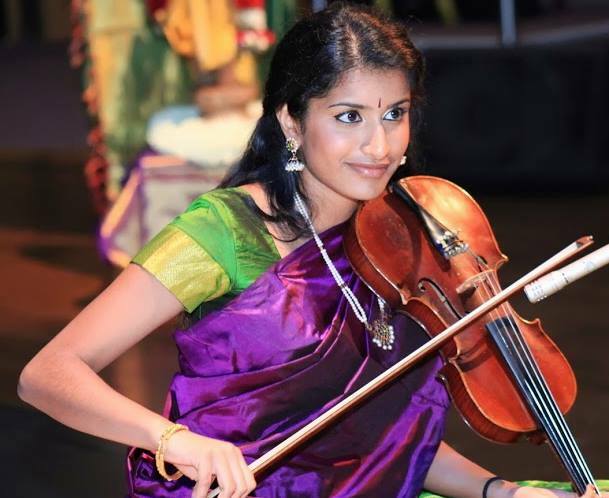 Harini Rajashekar began Carnatic Violin under the tutelage of Guru Sri Vittal Ramamurthy in 2008, learning from him and Guru Smt Padma Shankar for six years. Harini has also been playing the Western Classical violin style from 2004 and is presently first violin chair in her high school orchestra. Between the two, she is more passionate about Carnatic Violin. Harini has performed as an accompanist, giving concerts around the U.S, Canada, and India. She has placed first in junior and senior levels at the Cleveland Aradhana (Ohio) and CMANA (New Jersey) competitions. In addition to her violin interests, Harini is a Bharatanatyam (Indian Classical) dancer. Starting at the age of three, she continues to learn from her mother, Indhra Rajashekar. Harini is an honors 12th grade student at Clarkstown High School South, New York. Currently, she is undergoing advanced training from Guru Sri Lalgudi GJR Krishnan. She hopes to keep improving, and wishes to pursue her passion for violin throughout her life.